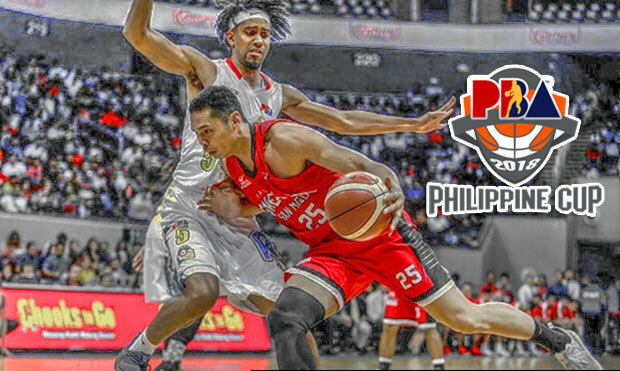 The Barangay Ginebra San Miguel is scheduled for a best-of-three series against the Rain or Shine Elasto Painters at 7:00 P.M. on March 5, 2018 live from the Mall of Asia Arena. 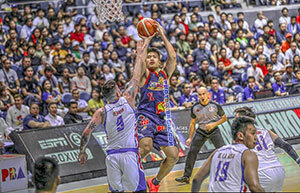 The second game of the 2017-18 PBA Philippine Cup Quarterfinals round opener is just a rematch of last Friday’s exciting game between the Elasto Painters and the Gin Kings. 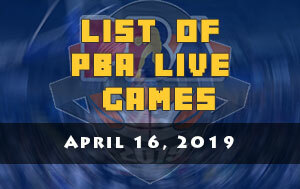 If most of PBA fans got entertained in that game, tonight might be even better. The “Never-Say-Die” spirit was again in full effect three days ago as Barangay Ginebra was able endure a triple overtime. 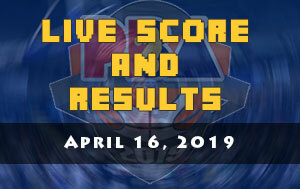 Their prize was a best-of-three series and avoided a knock out game in which the winner will face the top team, the San Miguel Beermen that also carries a twice-to-beat advantage. Although Ginebra have won the game, it came with a negative impact with the team. Japeth Aguilar might miss their Quarterfinals opener due to back spasm. Greg Slaughter who sat out in their last All-Filipino conference eliminations round game might continue to sit out due to his ankle sprained injury. “We have no time table on Greg’s return. He could come back sometime in the quarterfinals. We’re hoping it could be a week. It could be three or four days. It all depends on his day to day therapy,” said Cone. However, coach Caloy Garcia is preparing his troops whatever lineup coach Tim Cone will throw in their 7 P.M. schedule. Prior to their game against the Barangay Ginebra, the Elasto Painters were able to beat the defending champion, the San Miguel Beermen. They have utilized their big-men to launch three-pointers as their defender busy on protecting the paint. Beau Belga and Jewel Ponferada scored 19 points and 17 points respectively against the Beermen. 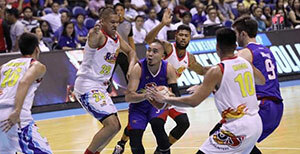 Despite losing to Ginebra, Belga got a hint that they have a chance against the Kings. 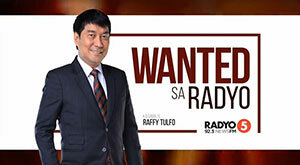 “Napagod na kami at natalo. But the good thing is that nakita namin kaya namin sumabay sa kanila (the Gin Kings),” said Rain or Shine center Beau Belga.